We just heard from a satisfied LanguageCorps participant in Vietnam that is thoroughly enjoying her time in Saigon. 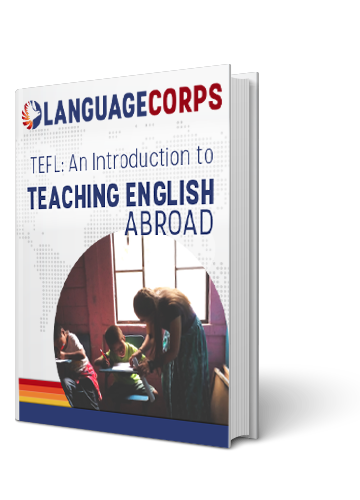 All LanguageCorps programs begin with a four week TESOL training and certification program, and following that, our staff helps participants to find paid jobs teaching English abroad. This person in Vietnam sent an email home to the LanguageCorps office recently, and let us know how happy she was with the whole process. It’s always great to hear from people who have transformed their lives by making the decision to teach English abroad! “The three people in my group each had an interview before the TESOL training course was over. All three of us began teaching the week after the course ended. We all work at (hiring school), which is the nicest language school in the city. They have a good relationship with LanguageCorps and it seems like most of the teachers I meet there came through the program. After their interview process, they assign a one hour demo lesson for a Vietnamese auditor to observe. The pages in the textbook are provided and depending on how much the auditor likes your style, he will offer you between $16 and $21 an hour. All three of us were offered $18. They assign you to a campus (or in my case, three) and the campus will assign you hours based on their need. I have eighteen a week right now because it’s a funny time of year. Last week I had twenty-three. I just received a paycheck for 30 million dong (They convert the dollars to dong at the last minute of every pay cycle.) My rent is about 10 million a month after water and electricity and everything, but I spared no expense: I have no roommates and an awesome location for me with a great view! My point is that the pay is excellent compared to the cost of living. I can have my air conditioning, my Internet, my enclosed shower, and anything else I want as far as western standards go, and I still make enough money to enjoy my days off. If you’re interested in changing your life and seeing the world in 2013, now is the time to act! For the rest of JAN, LanguageCorps is offering a $100 discount on all of our teach abroad programs to help you get the new year started off right! So don’t hesitate to contact us, and we’ll help you figure out a plan to make your dreams of living and working abroad a reality!